By this date Estonia, Finland, Latvia, Lithuania, and Prussia are settled by pre-Baltic hunter-gather tribes which all share the same cultural traces. 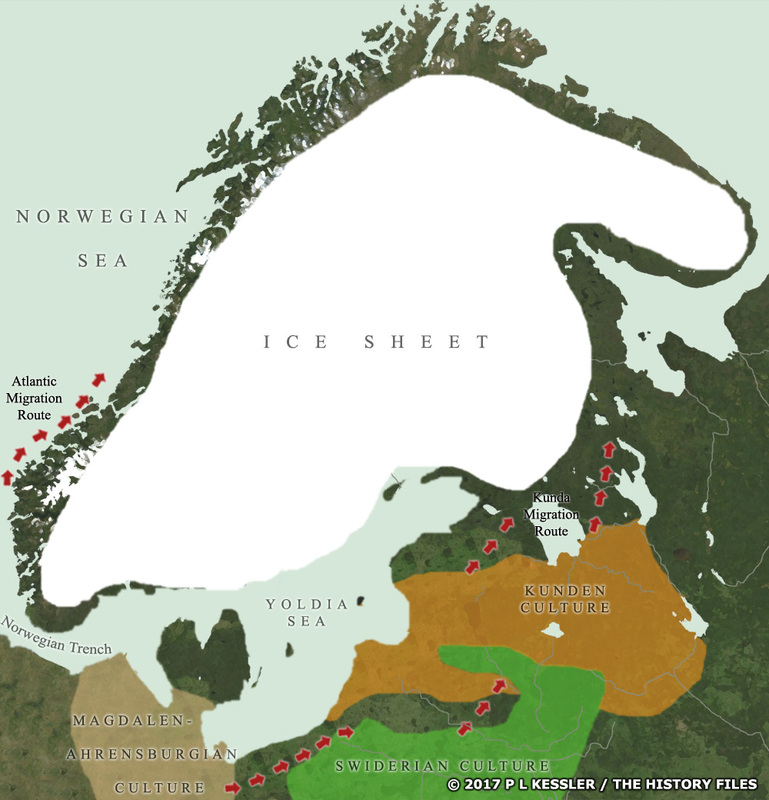 They belong to two groups, one being the regionally-dominant Baltic Kunda (Kunden) culture, which is a development of the earlier Swiderian culture located to the south. The other is the Magdalen-Ahrensburgian culture located in north-western Germany and Denmark, which probably enriches the Kunda culture. To select a region, tribe, or culture for further information, click on its name. Original text and maps copyright © P L Kessler and the History Files. An original feature for the History Files. Go back or return home.